Iraqi military Humvee captured by Daesh and converted into a VBIED. The vehicle was captured by the YBŞ outside Shingal, Iraq. Daesh is adept at using vehicle-borne improvised explosive devices (VBIEDs), in layman’s terms a car full of bombs driven by a suicidal fighter toward enemy lines. Their humble beginnings were red-and-white Nissan sedans with trunks full of old artillery shells driven at American forces in Iraq during the occupation of that country which began in 2003. More contemporary Daesh VBIEDs feature heavy armor plating, making it nearly impossible to stop them with anything short of an anti-tank guided missile (ATGM), a tank, or an airstrike. 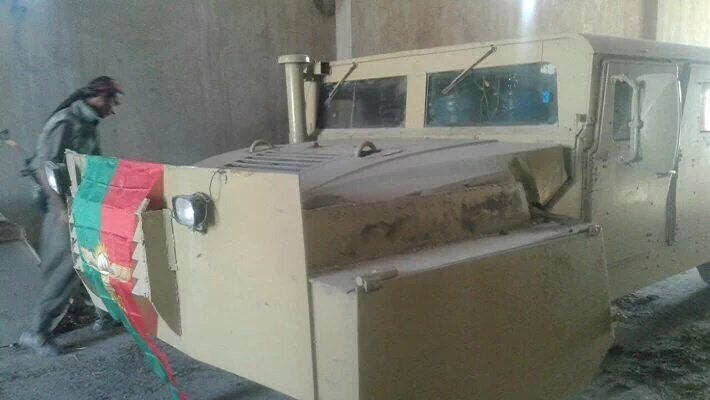 Again, as previously stated, Daesh had in their inventory a wide variety of armored vehicles. However, it is important to note that these vehicles do not equate an effective mechanized force on their own. Modern weapons of war require extensive maintenance, repair, and resources. Thus, as many captured tanks and armored personnel carriers ran out of ammunition, they were filled with explosives and driven at YPG lines. Armored recovery vehicles and ambulances were also used in the assaults, along with a plethora of homemade vehicles, from armored garbage trucks to pickup trucks sporting massive anti-aircraft guns. 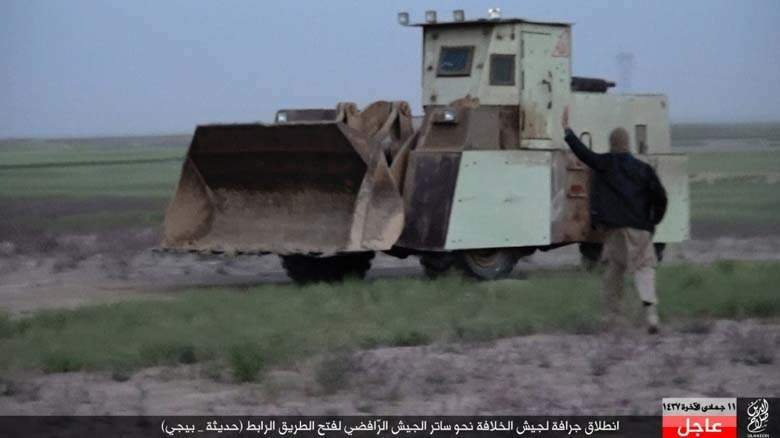 However, perhaps one of the deadliest and most feared weapons on the Daesh inventory is none other than the armored bulldozer. In an interview between the author and an Iraqi Peshmerga member, the details of these vehicles was fully revealed. Essentially a standard bulldozer (or a military bulldozer in some cases) is taken and up-armored with steel plating around vital areas. Then, in some cases, the vehicle is also given concrete reinforcement. Finally it is packed with explosives and sent chugging toward enemy lines. 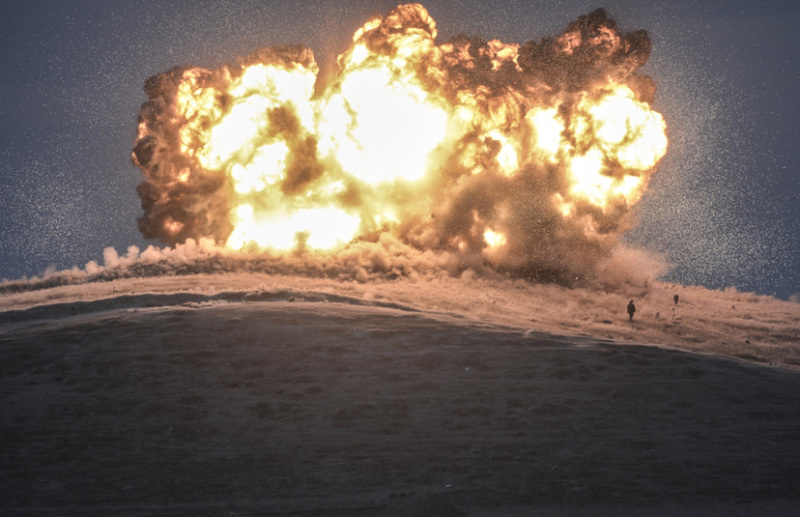 Often ATGMs and tank shells fail to destroy the improvised bulldozers, leaving only airstrikes to prevent them from wreaking havoc on Kurdish lines. VBIEDs are used in conjunction with other armored vehicles and infantry waves to overwhelm and shock defenders. Often two or three VBIEDs will be used in quick succession, eliminating layers of defenses and allowing Daesh fighters to infiltrate behind Kurdish defenses. After Daesh began massacring Yazidi civilians in Shingal, Iraq, the United States, as previously mentioned, began bombing the terrorist group on behalf of Baghdad. In late September 2014, that focus shifted to include Syria as well, and on 27 September the first airstrike was carried out by an American F-15E near Kobanê, targeting a Daesh building and two armored vehicles (possibly VBIEDs). Despite the airstrikes, Daesh continued to shell the city. The following day, 28 September, over 1,500 Kurdish fighters arrived from Turkey to join the fight. As October arrived, soldiers inside Kobanê proper began preparing for increased urban combat as the fighting came closer and closer to the city center. 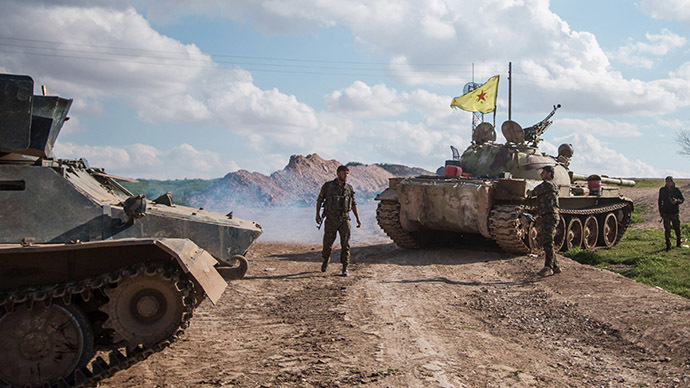 Sandbag emplacements were installed and heavily defended, but in the end a lack of ammunition and heavy weaponry led the YPG to retreat from outlying city positions. As YPG forces retreated, Daesh moved in and immediately began embarking on a campaign of ethnic cleansing, torture, and crimes against humanity. Thousands crowded the Turkish border crossing, where Turkish troops were deployed but not ordered to intervene. Stories of children having their hearts cut out of their chests and elderly persons being brutally beaten and murdered spread like wildfire, adding to the panic at the border. Captured fighters, particularly women of the YPJ, were beaten, often raped, and beheaded. The true brutality of Daesh really came out in their campaign against Kobanê and reminded the Kurds what they were fighting for. The use of suicide bombers was not unique to Daesh. In rare desperation, a Kurdish woman was used as a suicide bomber against IS positions, killing at least a dozen. Nine days into October and the YPG was running low on ammunition and other supplies. Outnumbered and outgunned, the situation looked dire as Daesh fighters began setting fire to Kobanê to create a smoke screen designed to thwart the prying eyes of the Coalition. Quick to adapt, Daesh began dressing fighters up in YPG uniforms, flying YPG flags from their motorcycles (which they began using to ferry ammunition around the city), and driving tanks into the city under the cover of smoke and darkness. 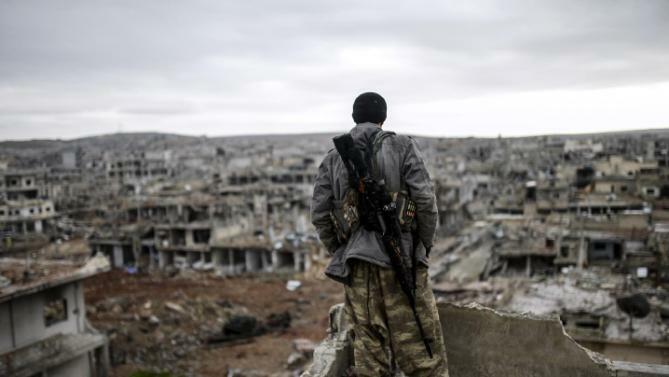 40% of Kobanê was captured by 10 October. By the 15th of October the fighting had spread to the Turkish/Syrian border crossing, which Daesh assaulted at least four times. Over the course of four days (between the 13th and the 17th) the coalition launched over 53 airstrikes against Daesh in and around Kobanê alone. On the 19th, the first Coalition airdrops of supplies to YPG forces took place, with supplies coming from Iraqi Kurdistan as well as Coalition countries. 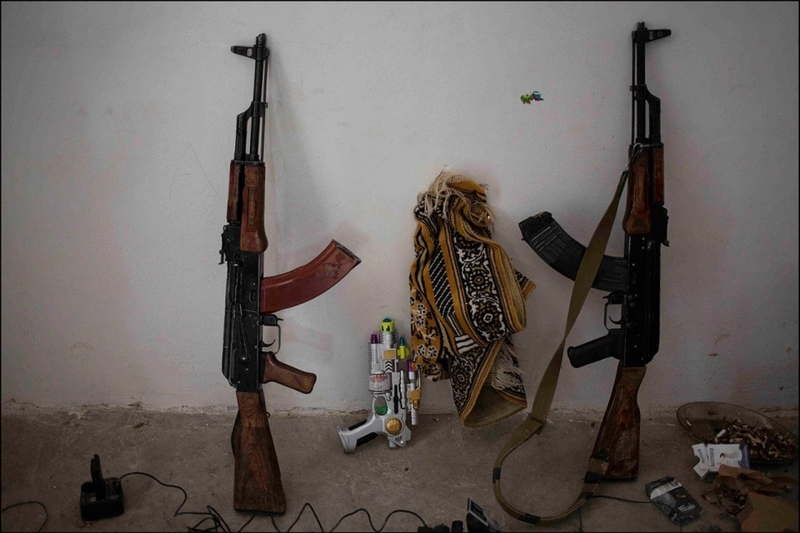 In early September a joint-operations room had been founded, comprising of the YPG/YPJ and elements of the FSA. 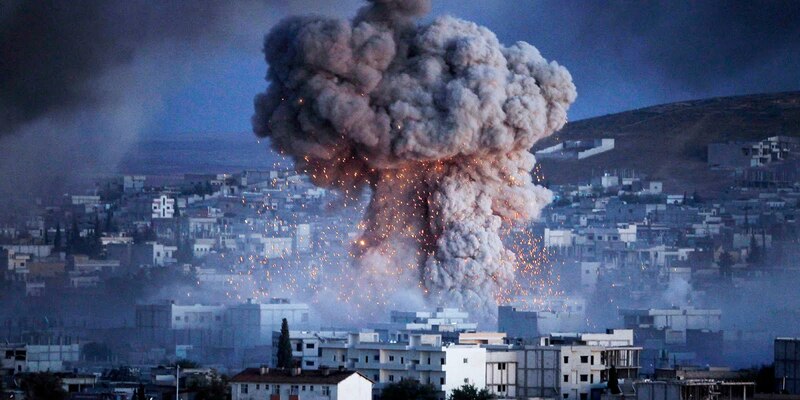 This coalition, known as Euphrates Volcano, was announced on 10 September 2014. Euphrates Volcano is comprised of the following groups, along with the YPG and the YPJ: the Islamic Front (Aleppo Division), Tawhid Brigade (Northern Sector), Jaysh al-Thuwar, Jabhat al-Akrad, Kita’ib Shams al-Shamal, Liwa Thuwar ar-Raqqa, Liwa al-Jihad fi Sabeel Allah, Saraya Jarablus, Tahrir Brigade, Jaysh al-Qasas, and Liwa Amna ar-Raqqa. On 29 October, FSA fighters began arriving via Turkey, the first time Turkey had allowed non-Syrian Kurds to cross the border to fight. In addition to FSA reinforcements, comrades from Iraqi Kurdistan began crossing the border with Syria (of which they had controlled the northern section of for about a month) and arriving via Turkey, bringing with them much-needed heavy equipment. 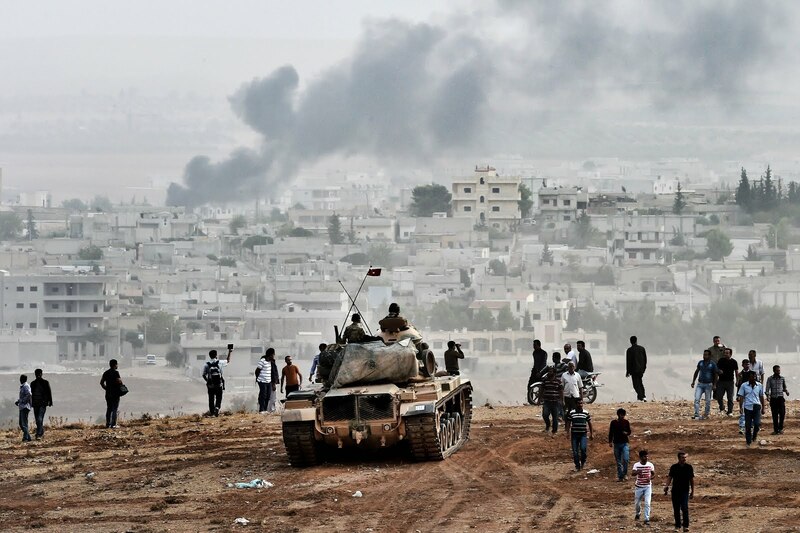 As more Kurdish defenders streamed into the city, the once-thriving Kobanê turned into a meatgrinder. Daesh began pulling forces from other areas of Syria and throwing them into the offensive, desperate not to let their assault die out. 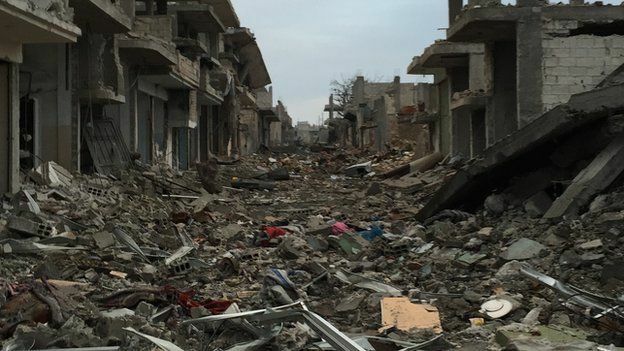 By November the situation had reached its worst point, with 60% of the city under Daesh control. The Kurdish Regional Government (KRG) began sending more fighters and equipment across the border to bolster Syrian Kurdish forces, and by the end of November the tides had begun to turn. 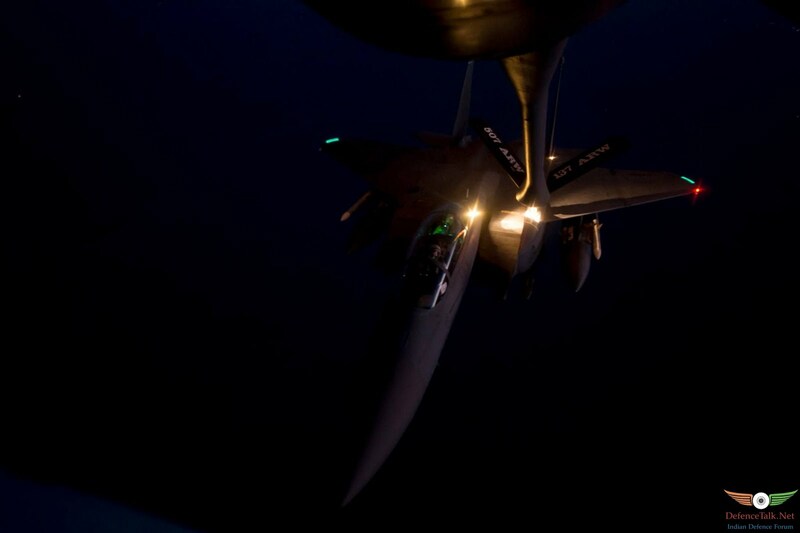 Coalition airstrikes, along with reinforcements and resupply, bloodied the nose of Daesh, who stubbornly refused to back down from the confrontation. To some this inability to throw in the towel, so to speak, was surprising. To others it was absolutely expected. Daesh was formed partially by former Iraqi Ba’ath party members, many of whom were in the Iraqi military. The Iraqi military, while historically decent at logistics and supply operations, suffered when it came to tactical battlefield decision making. During their numerous wars with Israel, Iraqi forces often brought more than enough equipment, ammunition and fuel, but junior officers failed their troops. Furthermore, as evidenced at the beginning of the Iran-Iraq war, Iraqi generals lacked originality and would refuse to guard their flanks. Forces were sent into enemy territory with no reconnaissance done, with no flank guards, and while they did well when facing an enemy head-on (and the Iranians did suffer in early head-on battles), simply maneuvering to the sides of the massed Iraqi armor would allow Iranian forces to attack the weaker parts of the armored columns, routing them time and again. When frustrated by a lack of action, Iraqi forces under Saddam Hussein would launch large-scale chemical weapons attacks against the masses of Iranian infantry, who were lightly armed and poorly trained. This tactic would rear its ugly head several more times before Saddam was ultimately removed from power. 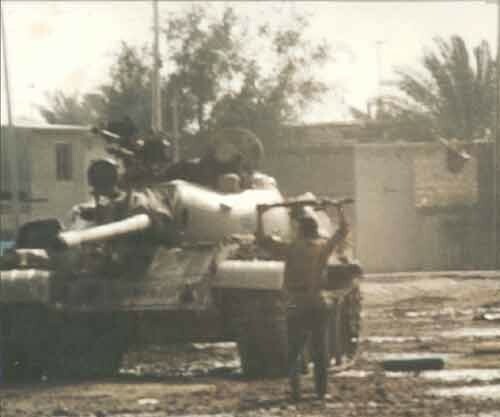 Again during the Iraqi invasion of Kuwait and subsequent action against American and Coalition forces, while some Iraqi soldiers fought tenaciously and bravely, the majority were routed simply due to a lack of military intelligence and combined arms abilities. After the war, Shia and Kurdish minorities in the south and north of Iraq (respectively) rose up at the urging of the US, only to be brutally put down by Saddam’s security forces. This was hardly the first time the Iraqi military had been used against the Kurds; the Iraqi government and Kurdish citizens had battled several times throughout the short history of the Mesopotamian nation-state. Thus, animosity among Saddam’s men toward the Kurds was widespread, especially among military officers. During the 2003 invasion of Iraq, loyalist forces under President Hussein often fought to the bitter end; the Fedayeen Saddam, created after the first Gulf War to help bolster the Iraqi regime against internal threats, along with some members of the Republican Guard, stood against nearly impossible odds and fought the Coalition invaders, dying in their thousands while doing next-to-nothing for the war effort itself. These tactics can still be seen in use against forces like the YPG today. As reinforcements and supplies continued to come in from abroad, Daesh went on the defensive. Several attempted advances were halted with air support and the extremist forces were pushed back. 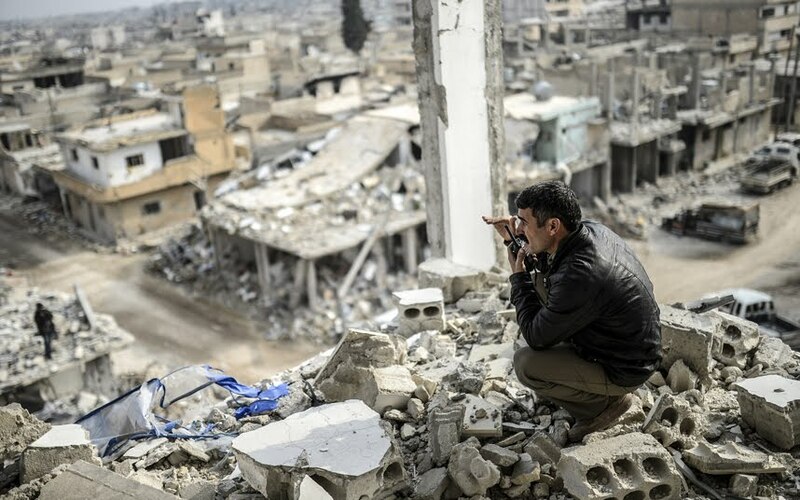 By the end of December, Daesh was barely holding onto the city, and a series of rapid advances in early January proved to be the final blow against the organization in Kobanê. On January 26th, the YPG announced the liberation of Kobanê and the beginning of their clean-up operations in the town. In those three months alone (and September barely counts), it is clear to see the impact the coalition made on Daesh’s operational capabilities. The strikes target a wide variety of targets beyond VBIEDs as mentioned earlier, including buildings, machine gun nests, sniper positions, training centers, artillery positions, fighting positions, checkpoints, and other military infrastructure. Continuation of these strikes, with an emphasis on limited or eliminating altogether civilian casualties, is a must for the United States and the global coalition (CJTF-OIR). Without continued air support, the tides could just as easily shift against the YPG and back into the hands of Daesh. As recently as May 2016 Daesh has been on the offensive, showing their ability to gain ground is still intact. 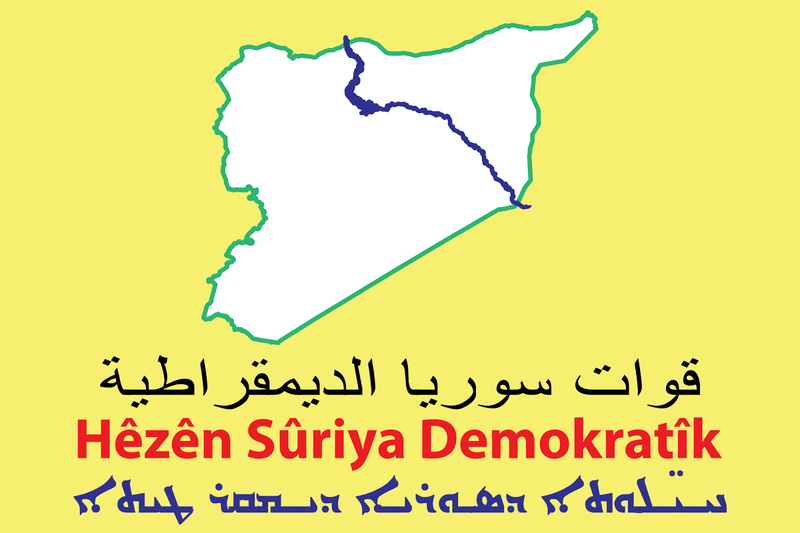 In a move heavily supported politically by the United States, on 10 October 2015 a new organization was founded in Northern Syria, the Syrian Democratic Forces, or SDF. The SDF is comprised of, on top of the YPJ/YPG, the following groups: The Syrian Arab Coalition, members of the Shammer tribal militias, the Al-Sanadid Forces, the former Euphrates Volcano, Army of Revolutionaries, the Northern Sun Battalion, the Martyrs of Dam Brigade, Liwa Jund Al Haramayn, Martyr Kaseem Al Areef Battalion, Jabhat al-Akrad, Seljuq Brigade, Liwa Thuwwar al-Raqqa, Jaish al-Salam, Furat Jarablus, New Syrian Forces, Liwai 99 Musat, Brigade Groups of Al-Jazira, Euphrates Martyr’s Battalion, Free Jarabulus Battalion, Liwa Ahrar al-Raqqah, A-lShaitat tribal militia members,Liwaa Siqur El-Badiye, Manbij Turkmen Brigade, the Syriac Union Party, the Syriac Military Council, and Sutoro. Through air strikes, the Western powers can show their political and military support of Rojava and express their will to support Kurdish self-determination. One of the deciding factors in any military intervention should without a doubt be the thought of political repercussions; that is to say, if the Russians oppose supporting a group of fighters, supporting them anyway hurts relations with Russia. In the case of the PYD (And via them the YPG/YPJ), there is no real danger of hurting relations with Russia. In fact, the only real negative side to said support would be relations with Turkey. Turkey is a member of the North Atlantic Treaty Organization (NATO) and is thus a close American ally. As the YPG is a sister organization of the PKK, it can be seen as supporting the PKK to support the YPG. In order to secure Turkish support for such a venture, the United States would need to either (1) find a way to guarantee materials will not end up in the hands of the PKK, (2) provide only air support and no ground support, or (3) refuse to support Rojava altogether. Anti-tank missile systems, such as the BGM-71 TOW, would help the YPG combat Daesh’s heavy equipment, but would also allow the PKK to destroy Turkish tanks in combat. 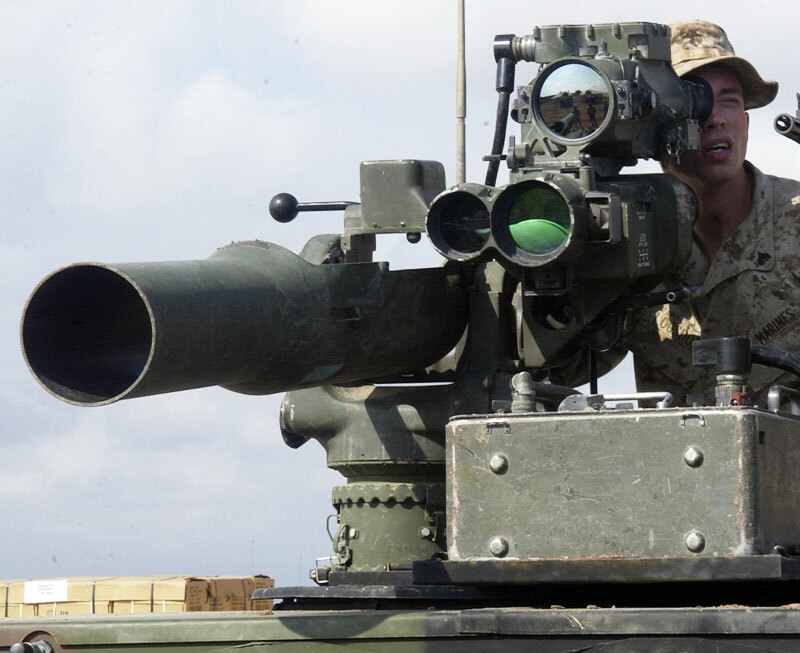 In an attempt to circumvent this issue, the United States could provide advanced defensive systems to Turkey for use on tanks and other armored fighting vehicles, technology from the currently-deployed US M1A2SEP2 Abrams main battle tank which could easily be converted to Turkey’s extensive fleet of Leopard I and M60 main battle tanks. Turkey’s own domestic tank, the Altay, could be supplemented with advanced technology, making it nearly invulnerable to most BGM-71 TOW systems (older ones, at least). Recently the Iraqi military embarked on a campaign to liberate the al-Rutbah area of western Iraq. 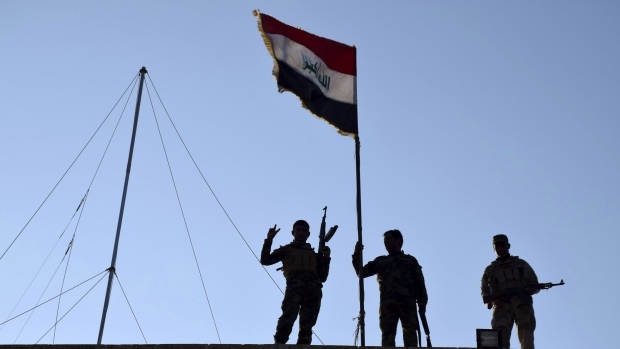 In the attacks the Iraqi military used extensive close air support and flanking tactics, tactics the Iraqi military previously was unable to pull off. As the war has progressed in Iraq and Syria, repeatedly it has been proven that when faced with a competent military utilizing close air support, Daesh can be defeated. This was evidenced recently at al-Rutbah and Ramadi in Iraq, and Palmyra in Syria. The SDF provides a vessel through which American and coalition influence can be exerted via air strikes and supply drops, along with embedded trainers. A major part of US efforts, however, will need to be political and diplomatic. In order to properly carry out attacks in Syria, the US must secure peace between the PKK and the Turkish government. This must be done or any efforts will be in vain as Kurdish forces loyal to the PKK may trickle back into Turkey, prompting a Turkish invasion of Rojava. Real, solid negotiations are required and much political maneuvering must be achieved. It will take a skillful set of politicians in the US to accomplish this, making the upcoming election even more important. Furthermore, negotiations between Rojava and the Kurdish Regional Government in Iraq must be worked out. The two sides are at least amicable at the current time, but it is anybody’s guess as to how long that will last. In closing, it is important to bear in mind the key role airstrikes and supply drops have had on the battlefield. Without them, Kobanê surely would have fallen. If the coalition is to see success in the upcoming (currently-underway as of this writing) operation to retake Raqqa, they will surely need to continue supporting local forces such as the SDF and in particular the YPG. This means more heavy weaponry, medical supplies, and other forms of equipment on top of continuing airstrikes in the region. For these purposes it is recommended to deploy a carrier battle group or additional USAF assets to the region. However, the impetus must be on reducing and eliminating civilian casualties, similar to the NATO campaign in Libya. Surplus armored bulldozers should be delivered to the SDF, along with anti-mine equipment and the training on how to use the advanced equipment. 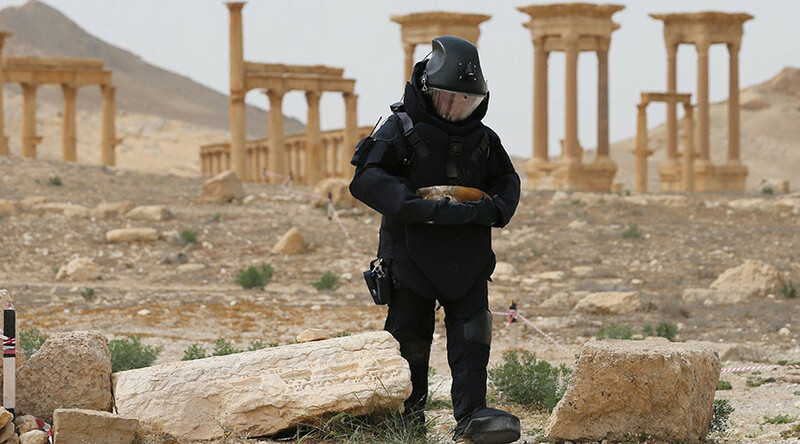 A possible (unlikely) scenario would see US and Russian military sappers working side-by-side in Syria behind the SDF, clearing IEDs from the countryside as the Kurdish and allied forces advance. The potential for a stable, democratic and popularly-supported Rojava is real. The world needs to recognize this opportunity at a unique political experiment, a federal system which may prove to be the foundation for solving other issues (such as Israel/Palestine, Morocco/Western Sahara, etc.). In order to allow this system to develop, the world must also stand in support of the local forces in the area and provide them with the equipment, training and military support necessary to defeat Daesh and protect the Kurdish lands. As of this writing, the following is taking place: Twin offensives in Iraq against Mosul and Fallujah, and twin offensives in Syria against Manbij and Raqqa. Raqqa is being assaulted from both the north (by the SDF) and the south (by the SAA). These battles will be decided in the coming weeks and months.